Families all over are saving thousands on the cost of solar power! New solar technology and a rising demand for solar power has helped to lower the cost of solar panels. Since 2011 the cost of solar panels has gone down 60%. Federal and State Governments are also providing tax credits and other incentives for families making the switch to solar energy. 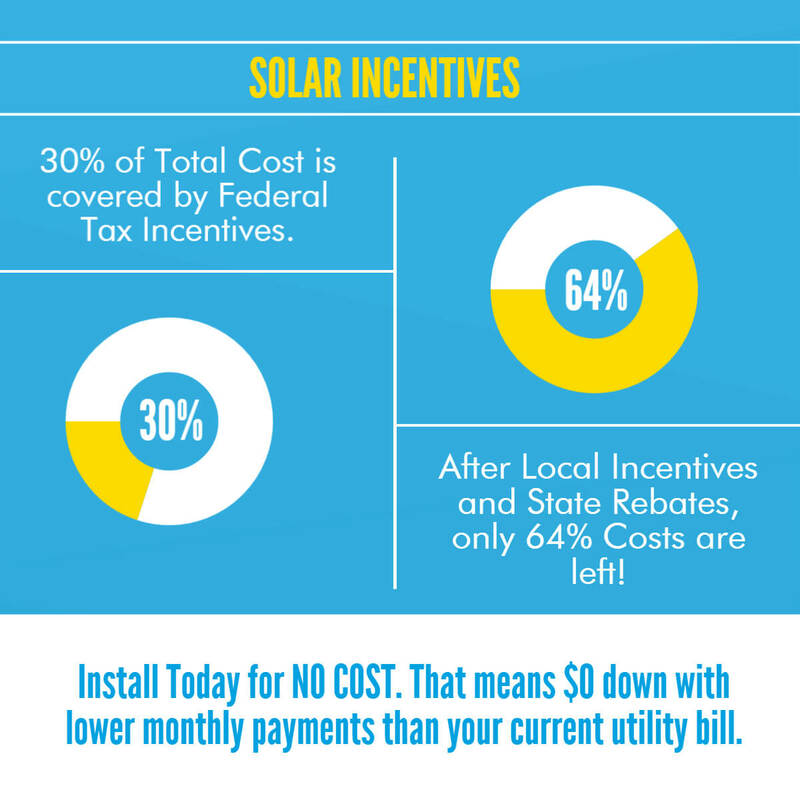 Solar Financing for your home has never been more affordable. The time to own your own energy has never been better. Let us show you how to make the switch to solar. We work with some of the most trusted names in financial institutions to insure that you receive a low interest rate, $0 down install, and low monthly payments. Our goal is to help you save money on your power bill and invest in your future.